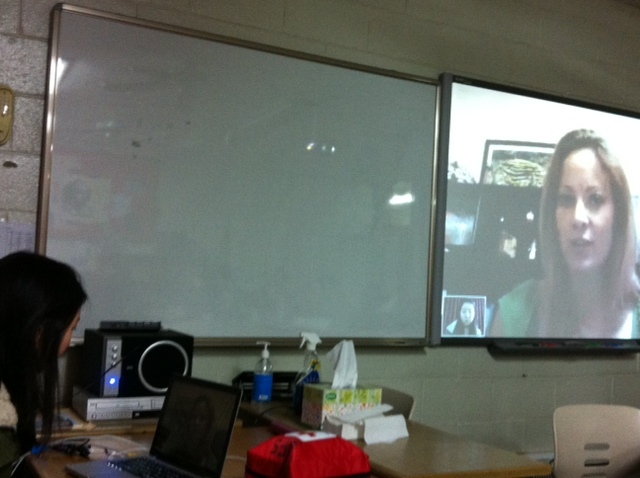 Not long ago, I had my first Author Skype Visit. It was so much fun and I would definitely do it again. My previous school that I taught at, Seoul Foreign School in Seoul, Korea, has a program where they take a week off from studies and explore other cultures or areas of expertise. One of the programs is a writing course where students learn about how to write as well as tour and write around Seoul. My presentation kicked off their week and I hope inspired them in their writing. 1. First I set up a Skype account for me as an author. This was separate from my personal account. 2. I emailed the school my account details as well as an agenda of our visit and handouts for the students to use throughout their week of writing. 3. About 30 minutes before the visit, I set up my area where my computer was. I even had ‘props’ to show the students an insider’s view on how I write and what I do. 4. Once we were connected, I introduced myself and gave them a background of my writing experiences and what my upcoming book was about. 5. Their teacher had the student’s prepare questions to ask me. This was really fun because it gave me a chance to go into more details on how I work as a writer. 6. At the end of our time, I promised them bookmarks once they were designed. If I were to already have my book out, I would’ve emailed the class bookmarks and personalized autographed bookplates for each student. 1. Skype might blink out and you get disconnected. Don’t panic. Just decide ahead of time who is going to call who to get reconnected. 2. I had some time lags on my end. Stay calm and and ask the student’s to repeat their question. 3. In my situation, I couldn’t see the whole class at one time, only when the students came up to the camera in groups. I felt like I was talking to the wall so I had to ‘imagine’ a whole class in front of me. 4. Remember to smile and speak clearly. 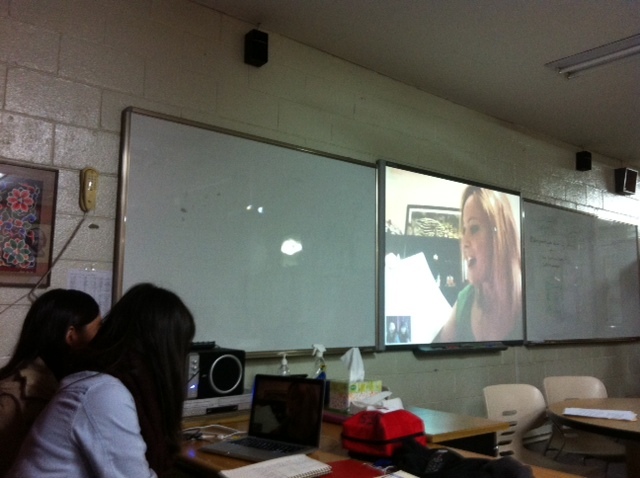 Have you ever participated in a skype visit as an author or audience? What was your experience like? Wow, that sounds like such a cool (and brave!) thing to do! What a great idea! That is so fabulous! Thanks for sharing your experience and your very helpful hints! Thanks for the tips. It’s great you also included pictures from their end. I’m so glad you all found this helful! Medeia- I know. Isn’t that cool? They sent them to me. Great tips! I haven’t done any Skype visits yet, but I’m definitely planning on it. They seem like a great way to reach out to readers you might not be able to “meet” otherwise. Sounds like you had a great Skype visit, Christina – Yay! I have never even used Skype, although my daughter will be traveling next month so I’m betting we’ll get a chance to try it out soon.